Ezekiel 39:7 … So will I make My Holy SHEM known … and the nations will know that I Yahweh am the Holy One in Israel. These words are spoken by God Himself, the Holy One in Israel. God's SHEM is inseparable from His Being. He is Holy. His SHEM is holy. He makes His holiness known to you through His SHEM. To call on God's Name in prayer is to be conscious that we are calling on His Holy Name. 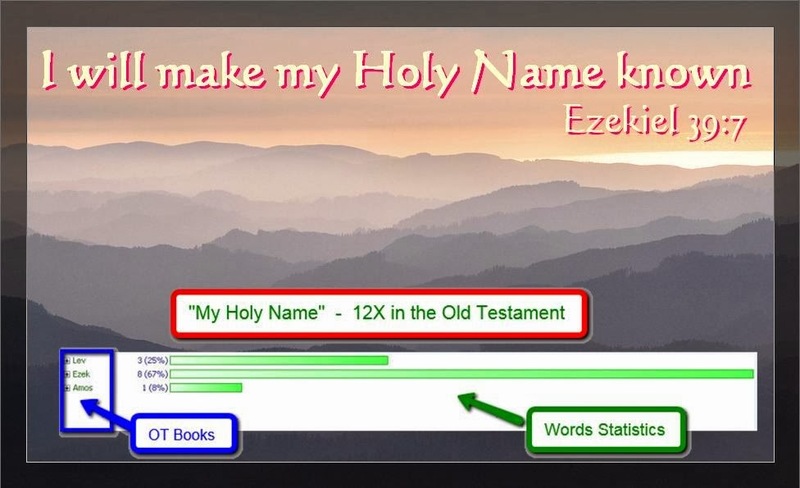 God feels very strongly about His Holy SHEM that He repeats this phrase "My Holy Name" 12X in the Bible. God’s Inner Being is Holy. When I call on God’s Name in prayer, I am facing a holy God. I experience a powerful conviction of sins. I pray for His cleansing through the power of His forgiveness. Let us continue to call on God's Holy Name in prayer.